A potential bill under discussion in Sacramento would limit executive compensation at California utility companies – or at least change who pays. The proposal, pushed by several small-business groups, would place a soft cap on the amount that Pacific Gas and Electric Co., Southern California Edison and San Diego Gas and Electric Co. could pay their top executives. The cap would be set at $348,000, twice the salary of California’s governor. The utilities could still choose to pay their people more. But the money would have to come from company profits, not from the monthly bills of utility customers. A former adviser to Gov. Jerry Brown, Gnaizda has been discussing the idea with several legislators, including Assemblyman Steven Bradford, D-Gardena (Los Angeles County), who chairs the Assembly’s utilities and commerce committee. So far none has committed to introducing the idea as a bill. “We’re still in the vetting process, figuring out what our legislative package is going to be,” said Matt Stauffer, Bradford’s press secretary. The notion of reining in executive pay at the utilities, however, could benefit from timing. The Occupy movement has focused America’s attention on rising income inequality amid a prolonged economic downturn. And last year, public outrage over the size of former CEO Peter Darbee’s $34.8 million retirement package forced PG&E to cover the costs solely out of the company’s profits, rather than having ratepayers fund part of the package. The proposal does give utilities one possible avenue for making their customers pay for salaries in excess of the cap. The utilities would be allowed to do so if the California Public Utilities Commission gave them permission, Gnaizda said. But that permission could only come after a public hearing at which the utility making the request would have to demonstrate that the high level of compensation was necessary and should be paid by ratepayers rather than shareholders. PG&E spokesman Brian Hertzog said Thursday that it was too soon to comment on the idea. 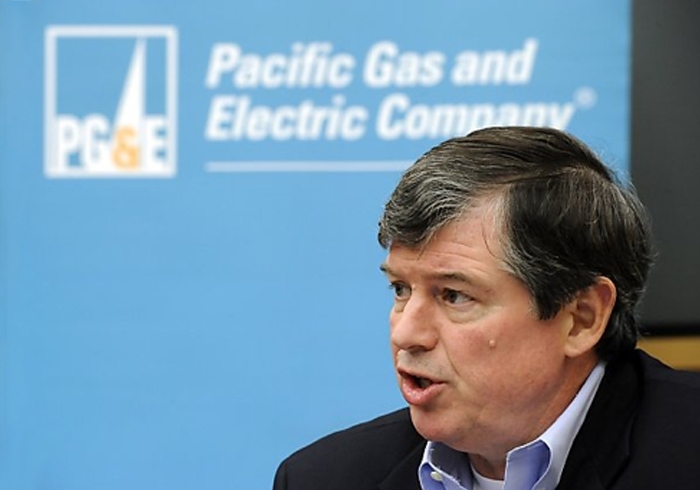 PG&E CEO Anthony Earley had an annual base salary of $1.25 million in 2011. He also received a signing bonus of $1.5 million and one-time stock awards worth $6 million when he joined the company last year. “It’s premature to say what our position would be on something we haven’t seen yet,” Hertzog said. Mark Toney, head of The Utility Reform Network watchdog group, said he liked the idea. But he doubted it would make much difference in utility bills. The amount that utilities spend on their executives, he said, pales in comparison with the costs of running electricity and natural gas networks. “It’s more a matter of principle than of bills, to be honest,” Toney said.